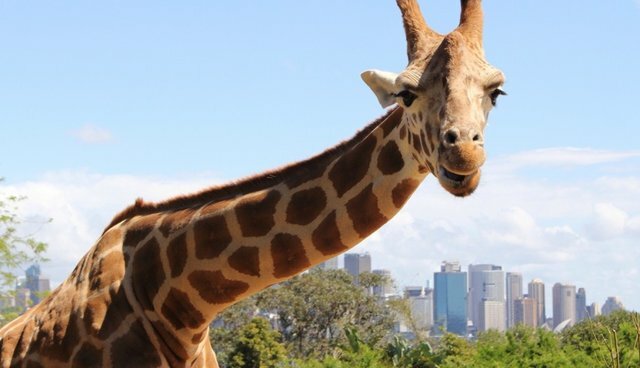 After the Copenhagen Zoo inspired a wave of outrage after they killed and publicly butchered a young giraffe named Marius who was deemed a "surplus" animal because his genes were already present in the captive giraffe population, news has surfaced that Marius' case wasn't so unusual for Europe. Copenhagen Zoo's Scientific Director Bengt Holst spoke to BBC about the frequency of such culls. "We all know it's done every day," he said, mentioning that it's difficult to give a precise number. "We do it when it's necessary. If I should take an average over 10 years -- it could be probably something like 20, 30 [per year]." In addition to the giraffe, Copenhagen Zoo has put down leopards, tigers, lions, bears, antelopes and hippos in recent years. The facility is a member of the European Association of Zoos and Aquaria, which includes about 340 others. According to BBC, euthanizing animals is a common practice in these zoos. EAZA does not publish these records or advertise the number of healthy animals that have been culled, but executive director Dr. Lesley Dickie estimates that somewhere between 3,000 and 5,000 animals are "management-euthanised" in European zoos in any given year. European zoos, which don't use contraception for their animals, often used a "breed and cull" strategy to keep numbers down. Many of these animals are small ones like rats and mice, while Dickie says that the numbers of large megafauna culled each year is "less than a few hundred." BBC found that five giraffes, four hippos, 22 zebras and 11 Arabian Oryx were killed recently in EAZA zoos. Animals are not things, but referring to them as if they are unfeeling objects with whom we can do anything we choose makes it easier to kill them routinely and unnecessarily with disarming and regrettable apathy and disregard. The lives of individual animals matter very much, as stressed by those working in the rapidly growing field of compassionate conservation.